We are One, there is no separation. Deep within you know that, and we here in the spiritual realms have been reminding you of this regularly for a very long time. Modern physics knows it, but does not wish to state it quite so simply because it would appear to show that physicists have discovered the existence of God and must therefore become believers. That is something the vast majority of them are not yet ready to admit to. The evidence is clear, very clear, but these physicists are focusing on “far more important issues,” they are still seeking the smallest and most basic particles in the universe via the Large Hadron Collider in Geneva, and yet Reality is infinitely vast! Meanwhile their spiritual thoughts are kept private and, if possible, left undisturbed. However, the human collective is way ahead of the game here because so many books, articles, and documentaries have shown irrefutably that humans are far, far more than chemical reactions and electro-magnetic impulses in the brain. The reality of spirit has been demonstrated again and again, and only those who have to chosen to remain in denial of the truth of this refuse to admit it. Denial is used because this truth is terrifying for many and it enables them to dismiss the possibility of spirit as wishful thinking by those who are afraid of death while themselves maintaining an air of nonchalance about the shocking brevity and seeming lack of meaning of an individual human life. But of course life is never ending, it is eternal, as you well know, and the illusory state of existence you experience as humans on Earth is but a brief dream or nightmare from which you are shortly to awaken. Signs of humanity’s awakening are evident all across the world as love, shelter, food, and resettling assistance is offered again and again to immigrants fleeing repressive regimes and war zones. Yes, humanity is most definitely very close to awakening, and nothing and no-one can prevent it from happening. You, the light holders and light workers who read this and other channeled messages from the spiritual realms, absolutely know this and are doing essential work in bringing it about. And that work is simply your constant intent to be loving in every moment of your lives. The flood of Love that you are creating and extending is, like Reality, VAST! When doubts arise for you as a result, for instance, of mainstream news reports of the intolerable suffering of so many due to war and other man-made atrocities, or due to extreme weather, fire, earthquakes or volcanic activity, remind yourselves of the work you are doing and of its inevitable success. Then, once more, strengthen your intent to send love to all those on your lovely planet who are in need and who are suffering, because that is the most powerful and effective thing you can do, and it is most powerful because it is the Will of God being put into practise by all of you. As I said above: All are One. Therefore helping another is helping yourself. However, the illusion, the realm of the ego, strongly suggests that taking care of the self to the exclusion of others is the only sane way to live, while perhaps offering a certain amount of compassion and charity to others if it does not demand too much of your personal limited resources. The reasoning behind that attitude, apart from a strong belief in the reality of the illusion, is the fear of scarcity that is separation and the ensuing lack of Love experienced in that state. As you have been told so often there is only Love, because God is Love, and all that exists is contained within God, Who is the infinitely vast Reality, the energy field from which all life flows, the Source. So each and every sentient being is the same as God, just as every individual drop of water anywhere on the planet is identical to all the rivers, lakes, and oceans combined. There is no difference between them. Of course the planet’s water has been severely contaminated in many places, but it is still water, much as humanity’s attitudes have been contaminated by its apparent separation from Source, and so the purity of Love seems lacking. As guardians of planet Earth humanity is responsible for cleaning up the damage it has caused and restoring it to its natural state. More and more of you are becoming aware of this grave responsibility and are taking steps to do so. That is Love in action. Love, your natural state, cannot be contained but it has been hidden or denied and then forgotten because of your choice to experience separation from God and therefore from one another. When Love is absent great fear arises and peace is impossible between either individuals or nations. Psychology has recently – psychology being but a recent advance in starting to understand the basic essential non-physical needs of humans – learnt that self-respect and self-acceptance are essential aspects of a well-balanced and healthy individual. In other words to love oneself is essential for good health. When an individual truly loves the self with which it identifies that love then flows outwards to embrace all life, and that is your path to awakening. Psychology is really only following along behind the ongoing human awakening process and observing its effects. Yes, it can be very helpful to those trapped in fear, loathing, and self-hatred, helping them to see that those deeply ingrained beliefs are utterly unwarranted, and by then assisting them to open themselves to the fact that they deserve and are entitled to love. However, it is due to the ever-increasing intensity of the power of the Tsunami of Love that your work is causing that is bringing humanity rapidly forward to its most gloriously anticipated moment of awakening. Love is always present, like the air you breathe, but you all have the choice to accept or reject It, and the numbers now openly accepting and indeed embracing It are increasing daily, bringing humanity to the tipping point, the point at which the collective, having already chosen to awaken, remembers that choice and releases its hold on the illusion. It is rather as though someone who is drowning, because they are holding on to some heavy artifact they dearly value and have carried with them from a sinking ship, suddenly lets go of it because they can no longer breathe, and, released from their burden, rockets to the surface and fills their lungs with desperately needed air. Then realization finally dawns that only life has lasting value. Rejoice therefore in the knowledge that the life-force that powers your human vehicles is Love, that It is indeed eternal, and that it can never be snuffed out! I am Saul, a being of Light – as is everyone who incarnates on Earth. All consciousness, all sentience is Light. Light is another word or symbol for Love, the energy of the Source, God, the Father, the supreme Intelligence, the Essence of all that exists. It is One. Separation is a dream, an imaginary state of fear in which you have become embroiled, by your own choice, and from which you are in the process of disentangling yourselves. I offer you loving guidance to assist you in that task, as do many others in the spiritual realms. Be assured that to fail in the task is not possible, is not an option; you will awaken! Many of you have become aware that the lives you are experiencing, in which pain, suffering, betrayal, and conflict are almost constant, are not God’s Will for you. And if that state is not God’s Will for you, then it must be due to choices that you have made, choices that you can change. And you have made the choice for change, to awaken from that dream – therefore, you will. However, many others are still holding on grimly to the illusion, believing that it is real, that there is nothing apart from it, in fear of being annihilated, ceasing to exist. Over the eons families have often taken steps to protect their bloodlines, especially those who considered themselves royal, divinely privileged, of higher station, or just better than the so-called common man. That concept, of protecting your station in life, is intensely divisive, driving wedges of envy or fear between you and leading to choices to reject and destroy those whom you believe to be alien, unnatural, not of your stock, and thus providing you with a constant supply of enemies. The insanity of this viewpoint can no longer be ignored, let alone maintained. The Light-bearers and wayshowers are embracing the divine field of Love, in which all exist, and weaving inextricably into it the energy fields of each and every human that imagines itself as separate. Your imaginations are powerful; they are under your control, and they enable you to build dreams in which to experience life in many different environments – physical, intellectual, emotional – dreams of restriction and limitation, or of freedom and joy. What the Light-bearers and wayshowers are doing is demonstrating Love as a life path, the way it truly is, and showing those who choose to be open to it to see the happiness it brings. Without Love there can be no happiness, no joy; only fear, and all the miserable consequences that follow from it. However, it is impossible to be without Love; you can only pretend to be without It – because It is your very essence. Demonstrations of Love in action have been ongoing throughout the eons of human existence, as holy ones walked the Earth, but the intent to be separate, individual was so intense and dark that their example was frequently ignored. However, your natural state is one of Love, of Light, and it was quite impossible that you would forever refuse to accept and acknowledge that. The example of those holy ones was remembered and recorded, and over time the seeds of Love that they had planted began to grow and flourish. There have been backlashes against Love as those with dark intentions attempted to smother It, extinguish It, but, as you know, the flame of Love within each and every human is utterly inextinguishable. It can only be temporarily ignored or unacknowledged. You have chosen to end those dark times and awaken into the Light of God’s Love. In fact you made the choice eons ago at the moment that the separation apparently occurred, and now that choice is being put into effect. There has never before in human history been such an enormous demonstration of Love-in-action on Earth, and the imaginary power of those who would deny that or insist that Love is weak is dissolving, because you have decided that Love is the way forward as your energy fields mingle with the divine energy field and you feel its effects and choose to embrace it. The tide has turned, the decision for separation, for fear has been revoked, and consequently, Love is flowing freely across the planet for all to acknowledge and embrace. The dark, which is but an absence of Light, is fading as daily more humans uncover the flame of Love within themselves and align with It. As you have been informed so often, “There is only Love; nothing else exists.” Anything other than Love is illusion, an illusion with which you have chosen to engage while you are experiencing it, and as ever more of you choose to disengage from it, it is disintegrating. Love is the Way, the Truth, and the Light. Nothing can resist It because there is nothing that resists. Love is All! 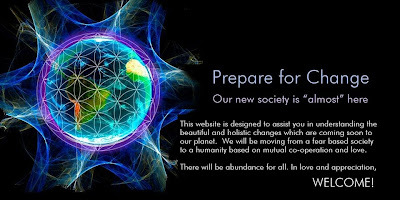 Here in the spiritual realms our pleasure is intensifying as the new energies flow across the Earth, connecting all of humanity to the divine field of Love more securely than has been the case for a very long time. Because its connection to you all has become so strong it is practically impossible for anyone to remain unaware of it. Of course, vast numbers of your sisters and brothers who are very deeply asleep still do not know what is going on, or what is causing the internal emotional upheavals they are experiencing. Over-the-counter medications are not helping to suppress these unwelcome sensations, so they are having to address them, often for the first time. Be patient, therefore, when you encounter people who are behaving strangely – angry, depressed, sad, exhausted – and be prepared to lend them an ear if they need to talk. Otherwise, intend to send them love, compassion, forgiveness, and healing because it is what they need in the moment, and your intentions in this field are now very powerful. You are all here to assist in the awakening process, as you very well know, but it still needs to be brought to your attention regularly and frequently, because many of you are also undergoing intense personal emotional cleansing that tends to distract you from the task you have taken on for this lifetime. Effectively you are doing your own cleansing, and you are also doing cleansing for humanity and the planet, which is why you are so honored. Quiet time alone in prayer, contemplation, or meditation needs to be an absolutely essential part of your daily routines, regardless of how busy you are – and we know that some of you truly are extremely busy. While in that safe and quiet space – and you might be stuck in slow-moving traffic while taking that time out – just remind yourselves and say “I am Love,” because there is nothing else, and it need only take you a moment. This is a very powerful affirmation because it is absolutely and undeniably true, as you know at the depths of your being, even if you to tend to discount it out of a false sense of humility. This time on this day is the only time there is because, as you know, time is part of the illusion, so the only time that exists is Now! For humanity experiencing life in the illusion, that statement makes no sense, and yet it is true. When you wake up, you will move out of your awareness of time and the deadlines and limitations that it appears to impose upon you and settle into the eternal now moment where all that exists, all of creation is eternally present. So that moment in the traffic jam, when you say “I am Love,” is the eternal never-ending now, when all that occurs does so. By focusing on the now moment and on the truth that you are Love, inseparable from your Father, you effectively make the intention to awaken from the sleep of the illusion into the glorious brightness of God’s eternal day. The illusion — an egoic idea to which you cling ferociously because it has convinced you that without your bodies you no longer exist — has only the power over you that you have given it, and you are very powerful beings. Focusing on the now moment is a very powerful intention that helps you on your path to awakening, because it is You focusing on being fully aware of your divine nature, and during those quiet moments you will get occasional enticing glimpses of Reality. Reality is your eternal Home, and you never left it. However, you have done an extremely good job of convincing yourselves that you did. That is a demonstration of the enormous, in fact prodigious power, with which your Father endowed you at the moment of your creation. Within the illusory environment that appears to be your worldly home it is very easy to be distracted by the physical, by rocks and bodies and trees, because you look for and see their physical representation, and yet, as your modern physics has shown you, there is nothing physical: it is all energy waves or energy fields, temporarily frozen in time. Frozen energy seems very solid, but physicality will dissolve when it no longer serves you, although the energy from which it is composed is everlasting. This is a very difficult concept to grasp as you observe so much death and decay all around you. Rocks just take a little longer to dissolve or disintegrate than biological forms. So Reality, the Home you have never left and to which you intend to return, is pure energy. You know how powerful electricity can be when it is appropriately organized, or how powerful is the discharge from an electrical storm; well that is as nothing compared to the power of which each one of you is composed. You are more powerful than a nuclear explosion, or your sun, or black holes. You are infinitely powerful beings temporarily “on holiday” from Reality, and it is your destiny to awaken. Your awakening is inevitable, so take time daily to remind yourselves of this, and let go of all the petty egoic distractions that tend to hold you to ransom. Embrace and share the Love that you are with everyone with whom you interact as you race towards Home.